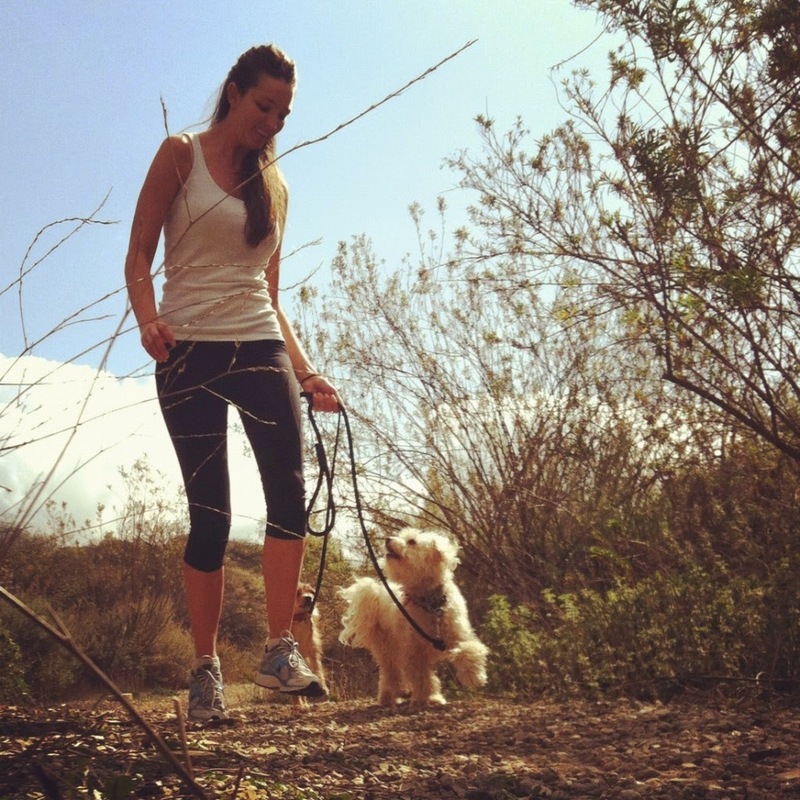 Nicole Ellis is a celebrity animal trainer and model based in Los Angeles, California. Five years ago she met Maggie Rose at North Central Animal Shelter and since then their partnership has flourished in many ways. Little Maggie – a mix of bichon, mini-poodle, golden retriever, border collie and shitzu – attends to 100 commands, created by Nicole with positive reinforcement methods. 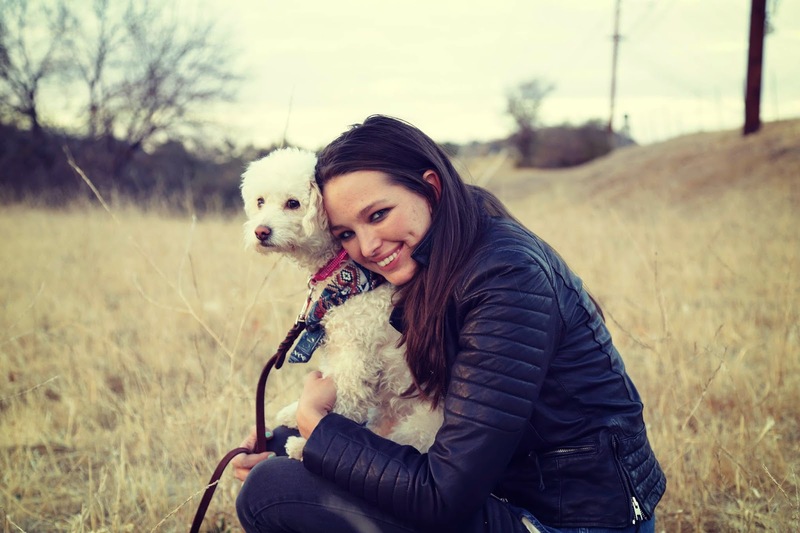 Besides her acting and modeling career, Maggie also is a therapy dog and in Nicole's words she is a inspiration, and hero, as she visits nursing homes and hospital sharing her joie-de-vivre. Nicole, who is also a Kennel Club CGC evaluator, has many ongoing projects. including a book: Working Like a Dog. 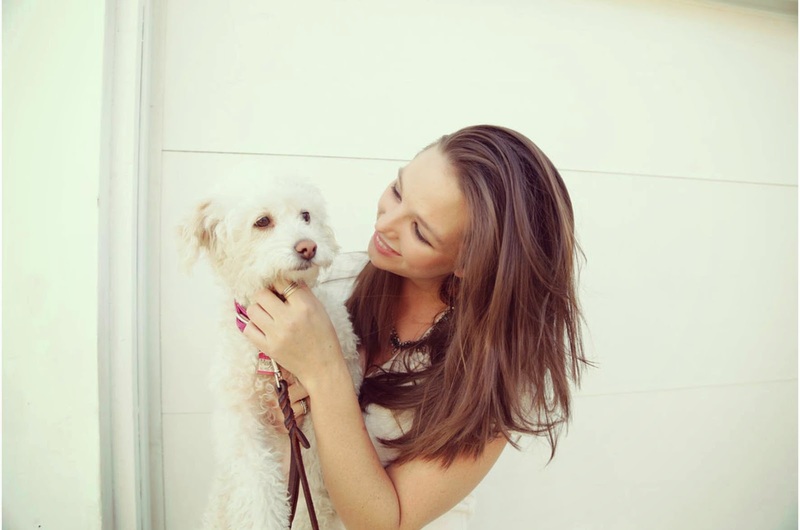 We invited her to share some of her expertise in one of the most sensitive points of dog-parenting, and we hope you enjoy – and learn from this interview – as much as we did! Is there a way to make it easier for pets and pet parents to deal with separation anxiety? When humans move or try new things, we often find ourselves with a nervous or unsettled feeling. Change is uncertainty. Why should it be any different for dogs? Separation anxiety is a real – and sometimes overwhelming – issue for many dogs and their carers; if you're caught up in this, you aren’t alone, and, fortunately, there are many things you can do with patience and timing. A great first step toward peaceful separation for both of you is crate training. I’m a huge fan of crate training, it gives your pup a relaxing, comfortable, safe, quiet place that is just theirs. To make that crate more appealing, try to get your dog a little tired before you leave the house. Play in the backyard or go for a walk or run around the neighborhood. You'll be letting off steam and spending quality time together. 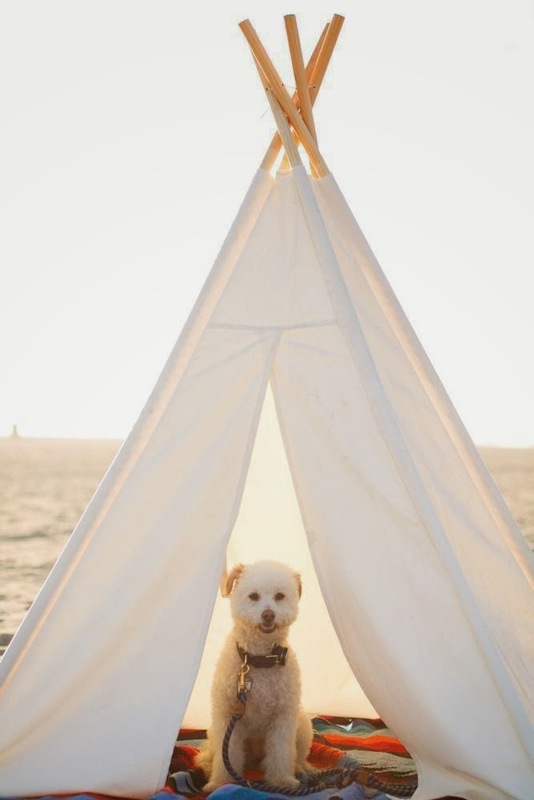 By the time your bonding session is over, you'll have a dog who's ready to curl up for a nap in his favorite place. This makes such a huge difference for just a little effort getting out and having fun. There's also the magic of treats. Sometimes before I go out, I prepare a yummy surprise like a stuffed Kong or puzzle toy, so my dog will have a positive association with my leaving home – even to the point of not noticing I was gone. The best practice, which might be both the simplest and the most difficult, is not making a big deal when you leave. I absolutely love my dog and want to give her hugs and kisses before going out, but the truth is, when we create a big emotional show, we make our dogs nervous ('omg, what is she doing?') and it can fuel separation anxiety. This is not the best time to smother your dog in kisses and say goodbye three times and wave through the window. I walk out as if I'm just going to the mailbox. This helps keep a calm and confident dog. Don't worry that you seem unemotional – you have all kinds of time during the day and night to show your affection and gratitude for your pet. This same advice goes for coming home, too – gosh, I can’t wait to see my dog, but saying a friendly hello and then letting her calm down while I go make a cup of tea and turn on some music helps us slip right back in to normal life together. What strategies could pet parents develop to make it easier and safe to leave their pets home alone? Whenever I leave, I double-check that Maggie has water and that every window and door is closed. Our pets do miss us when we leave and I wouldn’t want her trying to come join me. Also, check all outside gates to see that they're closed and latched. If your dog doesn't wear a collar all the time, consider putting one on the dog when you're away from home. Try to have at the very least a contact telephone number on it. Other useful information can be the pet's name, your name and/or address. While we're thinking of worst-case scenarios, I should add 'fire' to that list. In case that unthinkable ever happens, I keep a sticker in my front window that says how many pets I have inside in case they need to be rescued. You can find these stickers online or at pet shops. Microchip, microchip, microchip. I can’t say that one enough. Microchips save lives and reunite best friends. In the terrifying and rare instance that your pup gets out, a microchip could make the difference between lost forever and happy ending. Vets don’t charge to scan for a microchip, so even if your dog loses its collar, you'll be able to be contacted when your dog is found. Many municipal animal shelters will take extra steps and time to care for a dog with a microchip, knowing that it's almost certainly someone's missing pet. Is there a limit of time that pets should be left alone in the house? Great question: this really depends on your dog. If your dog struggles with separation anxiety, try to set your him up for success. Try to leave him alone for shorter periods at first – as short as 5-10 minutes – and then work up to longer absences. Be patient, progress may be slow, but with consistent, quiet work, you'll get there. Keep in mind that a puppy or elderly dog may not be able to be left alone as long. In all of my training, I set the dog up for success and, in this case, success means not pushing the limits on time away. If I’m not sure the dog can hold her bladder for four hours while I’m gone, then I will make sure I can be back sooner than that. I don't like to leave Maggie for more than 6 hours alone but I have client’s dogs that have no problem being left for 8 hours or even longer. If I'm going to be gone for more than 6 hours, I'll book a day care boarding session for Maggie through DogVacay as I would rather have her get out to chase tennis balls and hike than sitting on the sofa waiting for me. If I live in a small apartment and would like to adopt a dog, which breed or type of dog should I look for at the animal shelter? Research breed and age as much as possible. Some breeds are more playful and high-energy while others would rather lounge on the couch and take the occasional stroll. For example, Jack Rusells are known for their love of running and jumping; if you aren’t going to be up early for walks and spending your weekends throwing balls at the dog park, then a young Jack Russell probably isn’t the best fit for you. If you're lucky enough to work in a dog-friendly office (more and more business are joining the dog-friendly movement), you might want a dog who'll be a good fit for the work environment. Take into account your lifestyle, and then look at the individual dog. Dogs of the same breed can vary widely in terms of individual personality and temperament, so you really should spend some time getting to know the dog and also asking his caretakers about his specific personality, likes, and dislikes. A dog is a big commitment; it's only for the best that you gather as much information as possible before adopting your pet. Please be very sure to know that it's okay with your landlord to have a dog in your apartment; otherwise you are creating a potential heartbreak for yourself and the pup. How can technology help us with the safety and well-being of our pets when we're away from home? In the last year, we've seen an explosion of pet technology. I don't know about you but I'm loving being able to play with some of the latest gadgets. Who doesn't want to check in on their pet remotely? Now Petzila goes one better – you can check in and surprise your dog with a treat! Maggie wears a Whistle, the pet activity monitor, so I can see how active she is while I'm away. I know if she's been sleeping or playing or out walking with friends. This year, Whistle is debuting a GPS-enabled product line which will also let me know exactly where she's been. My other favorite techno-toy is the iFetch. I leave it out so she can pay endless games of fetch while I’m out if she's in the mood. She drops her ball in the iFetch and it automatically tosses it. What on earth does she need me for anymore? What does Maggie have to say about being alone? Maggie leads an interesting life so I’m pretty sure when she’s home, she’s telling herself or her friends (we have a lot of canine houseguests) stories of jet-setting and movie-dog life. But Maggie's a ham and a working dog, so I know she'd much rather be in the limelight doing tricks or at therapy visits shaking paws and giving high-fives. I get that sad puppy look when I leave, but then I get home and there are iFetch tennis balls and toys strewn about the house, so I think she seems to be getting her best product-testing and exercise sessions in while I’m out of the house. Always ready for a smile! We are changing the world one pet at a time! http://www.petzila.com. Simple theme. Powered by Blogger.